Protects you from spying ads and invisible trackers. Robust ad blocker that takes aim against all forms of ads—pop-ups, banners, pre-rolls, and more. Another great privacy protecting extension, Disconnect blocks invisible trackers and helps speed up your Firefox experience. Very simple to use YouTube downloader; and one of the few to offer 1080p full HD and 256kbps MP3 download capability. Out of the 10 addons featured in July, 8 are not built with WebExtensions API and will stop working in November with the release of Firefox 57. One is even marked experimental and has never been updated since it was uploaded for the first time back in 2014 and doesn’t even have full approval of AMO. Is MDN document for “Criteria for Featured Add-ons” inaccurate? What 10 featured add-ons of July are you referring to? There are four listed above. And they’re all built with WebExtensions API. I was referring to the strip on “addons.mozilla.org” that displays Mozilla’s Pick of the Month + 9 other addons. 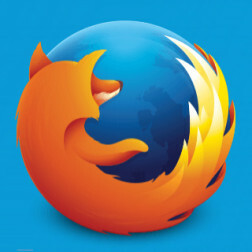 The intent of the post has been to improve user experience on AMO in order to provide the best possible and most up-to-date choices to the Mozilla community. It’s compatible! Give it a shot. I use it myself daily. I see 4 legacy and 6 web-extensions add-ons in the top 10. Or am I wrong? That’s another list. According to the uBlock developer, Mozilla will remove “Featured” status from all add-ons that are NOT WebExtensions on September 1st, 2017.